This class provides a brief history and explanation of the human energy field (energetic structure), the auric field (aura), and the chakra system. We will discuss the evolving human being and how our evolution impacts the energy structure of our beings, particularly in the chakra system, how it works and why it is vitally important to Understand the chakra system. We will discuss what energy work and Healing is, and how it interacts with the energetic structure, the aura, the chakra system, and more. This class will offer information on how imbalances in the energy system, through “Soul wounds” and faulty thought processes, cause such symptoms as depression, anger, fatigue, physical dis-ease and illness. This class is a pre-requisite for several of our other classes and courses. 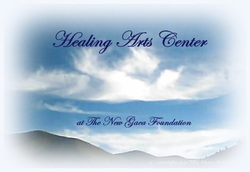 Even if you are already familiar with energy work and Healing, you will need to take this class. We present some new information on the subjects mentioned in the description, as well as correct some of the misinformation and outdated information that is "out there" in the world of energy work and Healing. It's an "out with the old, in with the new" type of learning experience. This is a three to four hour class.